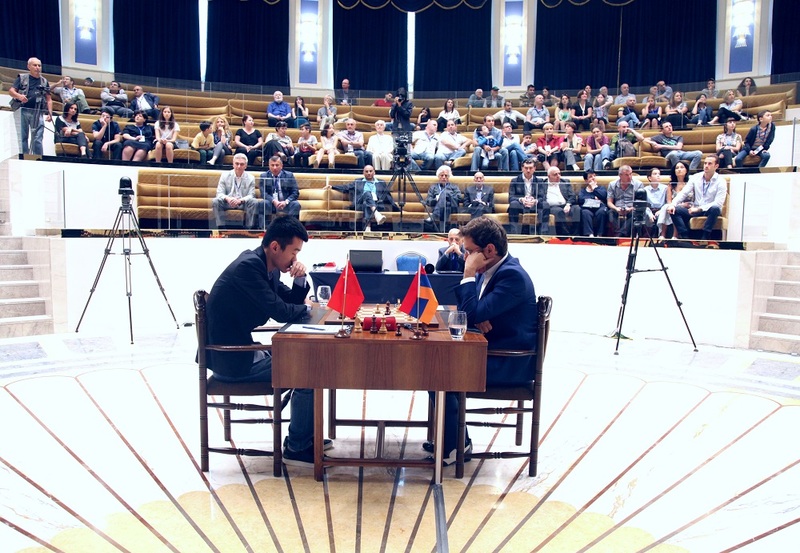 The final match of the FIDE World Cup started in the Biltmore Hotel in Tbilisi on 23rd of September. 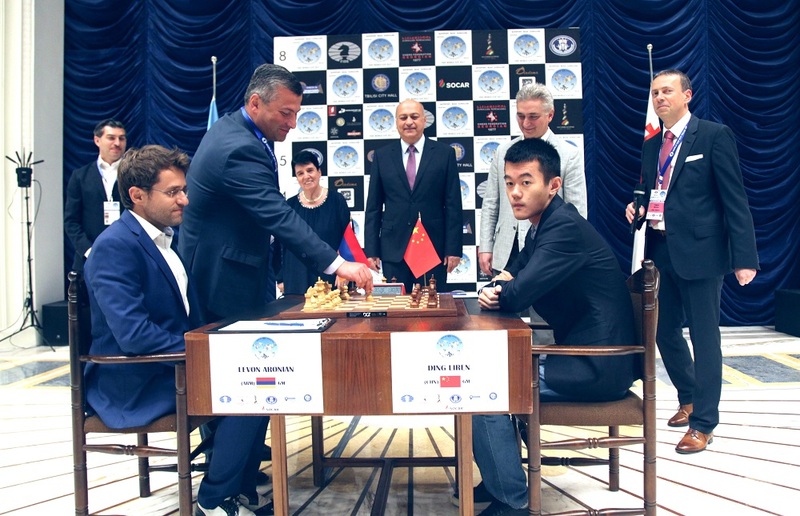 Levon Aronian (Armenia) and Ding Liren (China) are competing for the first place in the World Cup in a 4-game match with classical time control (90 minutes for 40 moves, then 30 minutes for the rest of the game, with 30 seconds added after each move). The Minister of Sport and Youth Affairs of Georgia Tariel Khechikashvili made the first move in the first game of the final. If the match ends in a tie, the winner will be determined on tie-break on 27th of September. The organizers moved the playing venue to a beautiful and historical place in the Biltmore Hotel. Located on Rustaveli Avenue, the city’s main thoroughfare, the hotel occupies the historical Soviet-era building IMELI (the branch of Marx-Engels-Lenin Institute), constructed in the 1930s, and a 32-floor skyscraper, built in the 2010s. It housed the Parliament of Georgia from 1992 to 1995. It was where the Georgia’s first post-Soviet constitution was adopted on 25 August 1995. Later, it served as the Constitutional Court of Georgia and the Central Election Commission office. Many spectators came to visit the first game of the final match which ended in a draw after three and half hours of play. 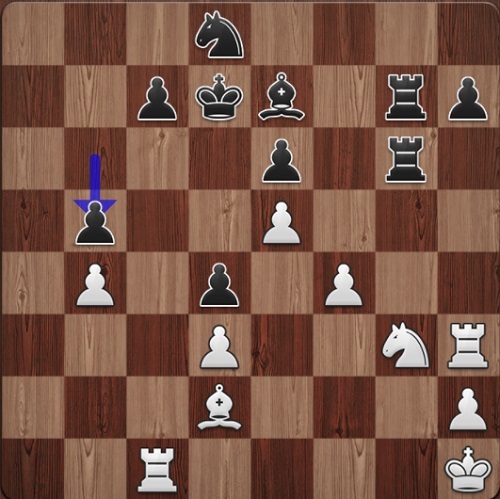 Playing with White pieces Levon Aronian was not expecting the line 7…d4 from his opponent. “My reaction was a safe one but I knew there was nothing for White there. I think I managed to create some chances but then perhaps the idea with b4 is not correct,” said Levon after the game. One of the critical moments of the game. 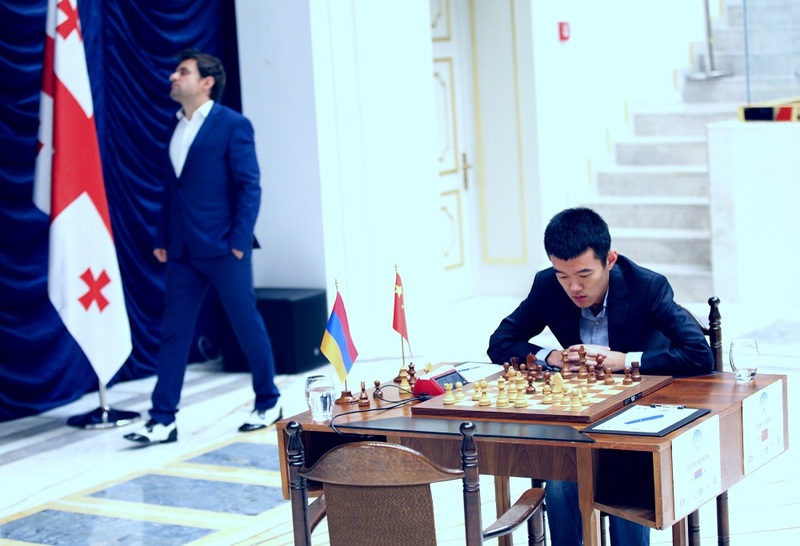 The Armenian Grandmaster had a feeling that after 29.f5 he should be better but after careful consideration he realized that Black had at least a draw. The line which Levon was calculating during the game would lead to an equal position: “29. f5 ef 30. Nf5 Rf7 31. Nd4 Rg4 32.Nb5 Ne6 33. d4 c6 34. Ra3 cb 35. d5 looks very interesting but Black just can ignore it and play 35…Rf2”. The second game of the final match will start at 3 pm local time on 24th of September.